Here's where you'll find valuable FREE information that I've created just for you. I'll be adding more freebies here so be sure to stop by often. Looking for more free info? Go to my blog page. I also post recipes there. Enjoy! Congratulations - you're expecting! Such an exciting time. You want to feel great and look wonderful throughout your pregnancy. 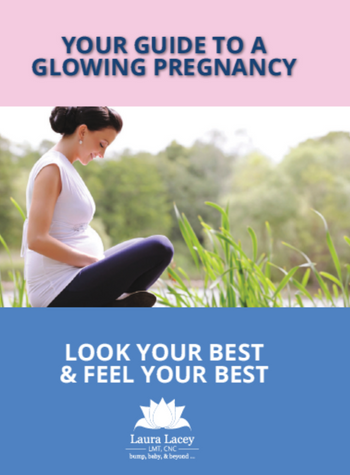 "Your Glowing Pregnancy Guide" will show you just how to do that. I cover the 3 things that most affect the way you look and feel. Thanks! Click the title below to download your copy. Being a new mom isn't easy. Suddenly there is a new little person in your life and no instructions. Your world isn't the same anymore. You need "The New Mom's Survival Guide." I explain the top 3 challenges new moms face and how to manage them.